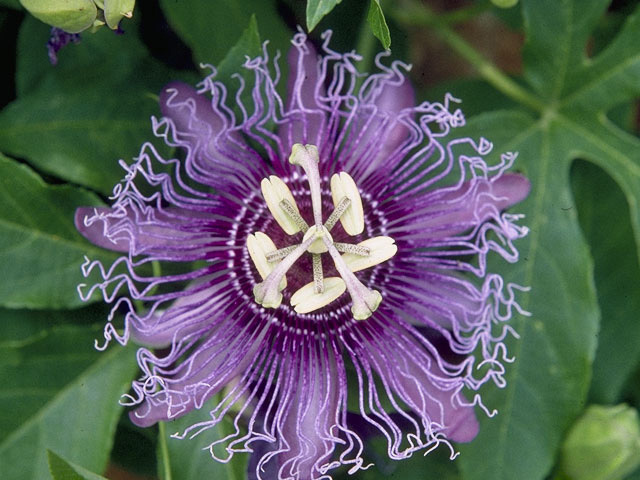 Passiflora incarnata is the scientific name for what is commonly known as the purple passion flower or maypop. It is found in the Southern states and is largely considered to be a weed (though many use the plant as a covering for trellises and fences as it grows extremely fast). There are many medicinal uses for the Passiflora incarnata as well as other species within the Passiflora genus. Now how about we take a look at the classification of this amazing flower!? This webpage is part of a larger project known as multipleorganisms.net and the University of Wisconsin-La Crosse organismal biology class.